Barry Kuhle, Ph.D., answers some questions about what it's like teaching an intersession course. What course are you teaching over intersession? Can you tell us a little bit about it? I’m teaching PSYC 210 ~ Statistics in the Behavioral Sciences. It’s a seemingly boring course that most students take merely to fulfill a requirement…but that, if all goes well, they walk away from surprised that it wasn't as terrible as they anticipated and relates much more to their daily lives than expected. Why is this subject beneficial to students of any major? We are bombarded with information more so than ever before. And much of that knowledge is not worth knowing. Statistics help us uncover the useful info amidst the useless. Proper use of statistics helps to cut through the fake news, divisive noise and manipulated hysteria to see the unvarnished, evidence-based truth (p < .05). What kind of challenges do you run into while teaching a course during a condensed time period? How do you resolve those challenges? Maintaining student attention doing a three-hour class with numbers is probably the biggest challenge. I make ample use of quick breaks, in-class assignments to punctuate long lectures, and brief tangents from the topic at hand. And I pass around a jar of Utz pretzel rods for sustenance. Do you have any advice for a student interested in taking an intersession class? Dedicate at least as much time out of class as you do in class…on a daily basis. Because with a 4-week semester it’s super tough to catch up if you fall behind. But the short session has its plusses, too: you can immerse yourself in the material every day, less encumbered by the need to dedicate time and attention to other courses and campus commitments. If you were not teaching a course during intersession, what would you be doing with your break? 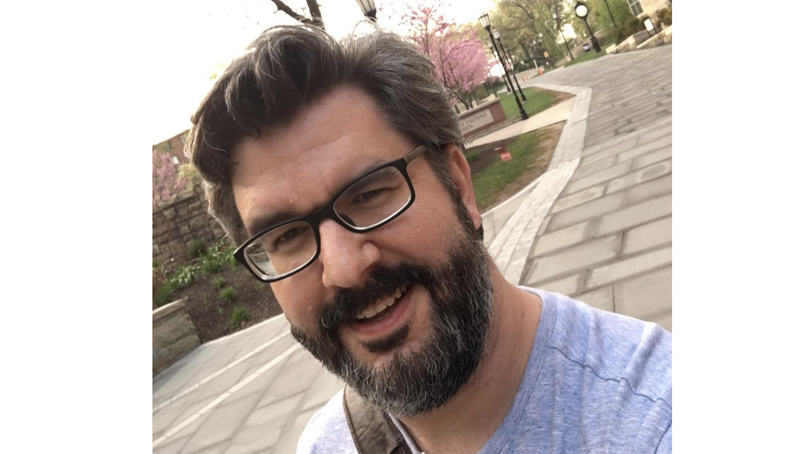 Kuhle is a full-time faculty member who teaches Evolutionary Psychology, Fundamentals of Psychology, and Statistics in the Behavioral Sciences at The University of Scranton.